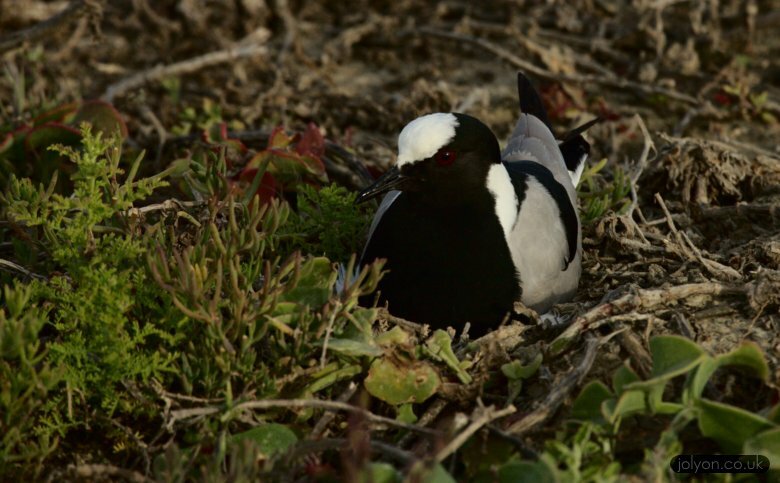 Kittlitz’s plovers cover their nests with materials to help hide them from predators. 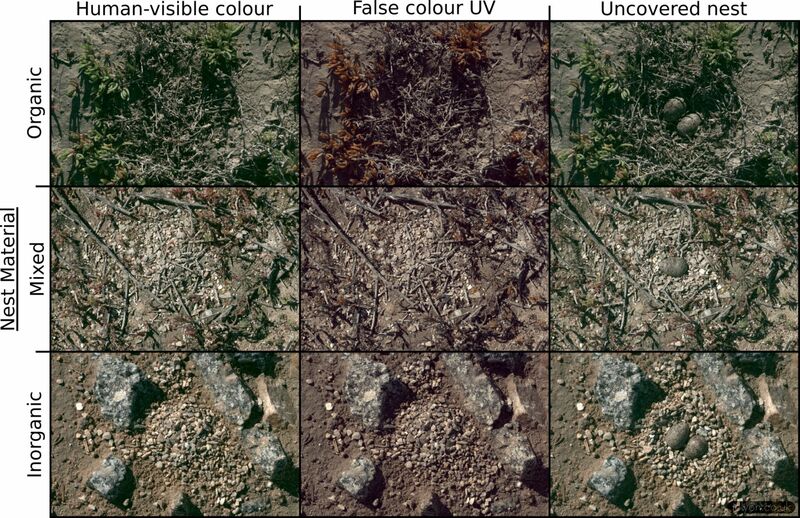 In our recent study (just published here), we show that the materials plovers select to cover their nests are a near-perfect colour match to their eggs, whether they’re using pebbles, sticks or dried vegetation. This helps to conceal the eggs themselves within the nest, but makes the nests a worse colour match to their immediate surroundings. Examples of three Kittlitz’s nests in simulated bird vision, both covered (left) and uncovered (right). The nest at the top is covered with entirely organic material, the central nest a mix of organic and inorganic, the bottom nest is covered with inorganic pebbles. We found that in addition to being a perfect egg colour match, the nests were slightly higher contrast than their surroundings. High contrast can be an effective camouflage strategy as it helps break up internal and external shape cues, however, the same high contrasts can act as a learning cue for predators, allowing them to become more effective at finding high contrast prey over time. It remains to be seen whether the plover’s strategy is intentional, and whether this high contrast is helping or hindering their survival. We noticed very high rates of pied crow predation of our study nests, suggesting these crows could have become effective nest-hunters. This video shows the ‘leaving scuffle’ the plovers use to cover their eggs when they see a threat approach. It also shows a number of predation events from pied crows, and the peculiar nest ‘sabotage’ behaviour of blacksmith plovers nesting near the Kittlitzs plovers, which pierced and destroyed their eggs, but didn’t eat them. Blacksmith Plover Adult incubating its nest. The blacksmith plovers ‘sabotaged’ the nests of nearby Kittltiz’s plovers.